The Engine Wiring Harness are manufactured using high grade sensor connectors, ECU connectors as per customer specification. They can be used effectively in high temperature applications in the Engine area. We are using special high temperature cables in such applications. A wire is a single, usually cylindrical, string of metal. Wires are used to bear mechanical loads and to carry electricity and telecommunication signals and in automation parts. We have a world class range of engine wiring harness under the category of cable harness which is used in the engines of utility vehicles and other commercial vehicles. These are majorly used in the models of LCVs, MCVs and HCVs. These can be customized according to the needs of the clients and are offered at competitive prices. We make Wring Harness for Engine test bench and R&D units. Our harnesses are tested on site as well as at test cells in extreme temperature and harsh environmental conditions. Supported ourselves with proficient amenities, we are readily instrumental in providing an inclusive variety of Car Engine Wiring Harness. 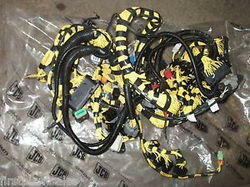 We are offering range of Engine Wiring Harness that consists of electrical wiring harness and wire harnesses. These are made according to the specifications of our clients and find application in various equipment. 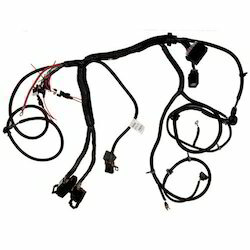 Our organization is ranked amongst the reputed names in the market for providing Engine Wiring Harness. We have a all class range of engine wiring harness under the category of cable harness which is used in the engines of utility vehicles and other commercial vehicles. These are majorly used in the models of LCVs, MCVs and HCVs. These can be customized according to the needs of the clients and are offered at competitive prices.